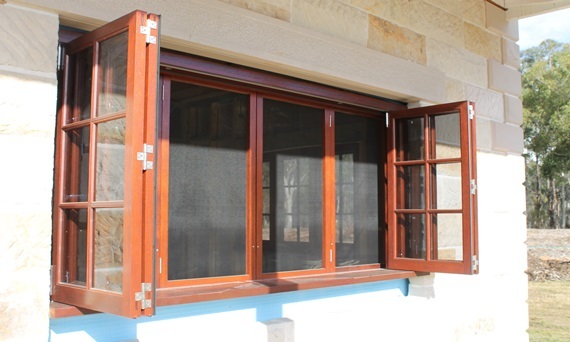 The owners of this two story sandstone house being built in the north west of Sydney asked for a screen on their bi-fold window, but the B.A.L. or (Bush fire attack level ) allocated to them by the local council would not allow for a standard screen. The answer was 4 bi-folding screens with black stainless steel mesh on the inside; along with the flat servery sill the client wishes were covered along with the council requirements.